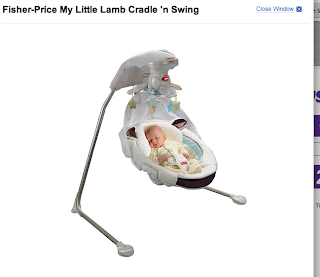 So I have a little bit of an obsession: I love helping people out with their Baby Registry! Now, almost 5 months in, I think I have a really good idea of what baby items are essentials and which ones you can skip or borrow. My friend Gretchen and I worked on this list for her best friend who's pregnant so I thought I should share it here too. Shout out to my friends Cara, Elina, and Lauren who are pregnant! About a year ago we went out to dinner and I was pregnant (secretly). Super excited for you guys to join motherhood. 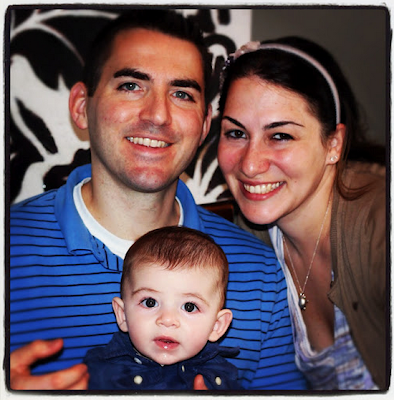 Special shout-out to Kerstin on your adorable baby girl too! I use a Graco one in my living room for changing. To be completely frank, I only use my Pack N Play to change Dylan downstairs. Seems like a really expensive changing table. 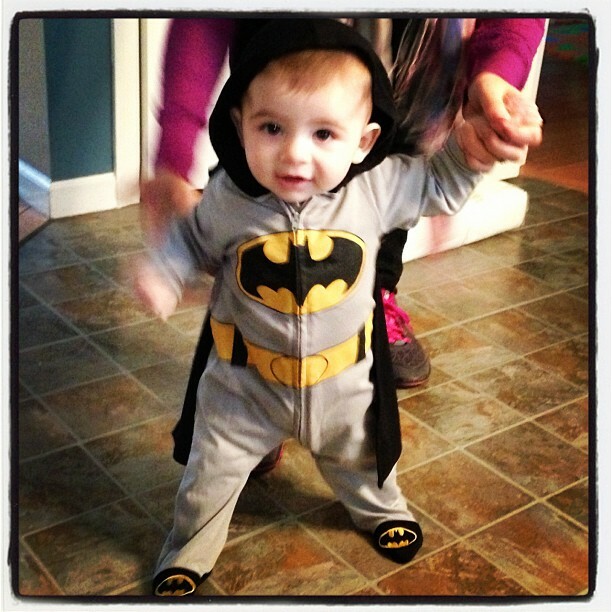 I think I will probably use this more when he gets older, but as of now he doesn't nap in it and he doesn't play in it. 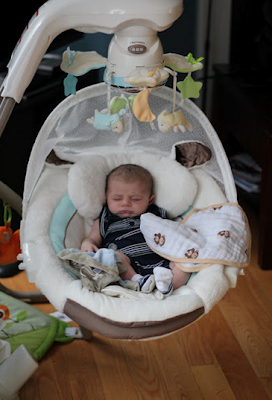 When we travel, I bring something else that's much more portable (we'll get there- Rock N Play Sleeper). 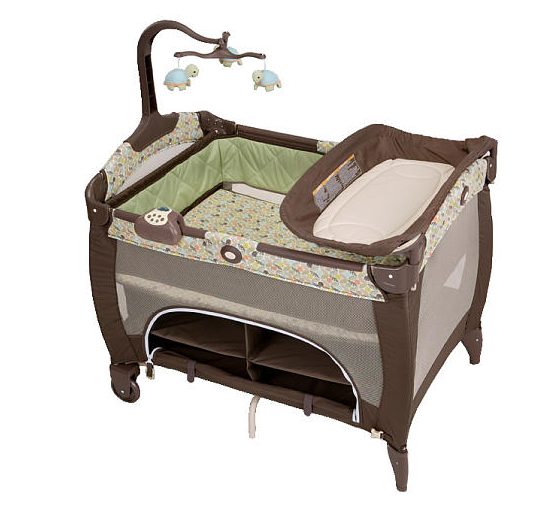 So as of now, I don't think this is the best investment because we only use the changing table, but maybe that will change as he gets older. 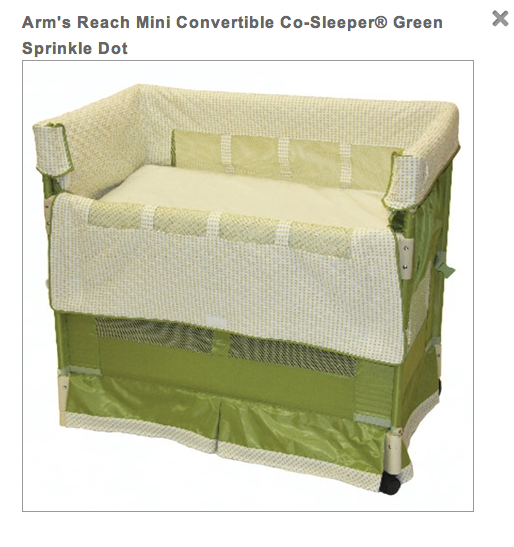 I do suggest getting one with a changing table, but it's not necessary to get the one with the bassinet. You don't need anything too pricey and if you can borrow it, do it! 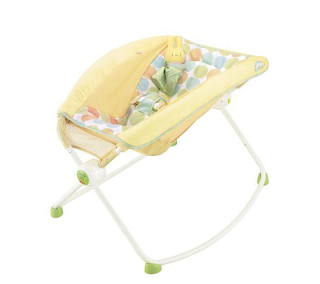 Another option for a portable place to sleep is the Fisher Price Rock n Play Sleeper. If you get one thing on this list, get this. I swear by it, and I buy it for every baby shower I go to. We used it a lot in the beginning at night and for all his naps. Now we use all over the first floor. And we use it a lot in the kitchen. He watches me cook in it and he sits in it at the dinner table. It's at incline so it's really comfortable for babies with reflux and it allows your baby to see what's going on when he is awake. And it's comfortable when they sleep because it puts them in a position they were in while in the womb. They have lots of options now, but it's not necessary to get anything too fancy. I have the one below. Best fifty bucks ever spent! This is something that I wouldn't invest in right away because some kids hate them. Dylan probably used his a total of 10X. 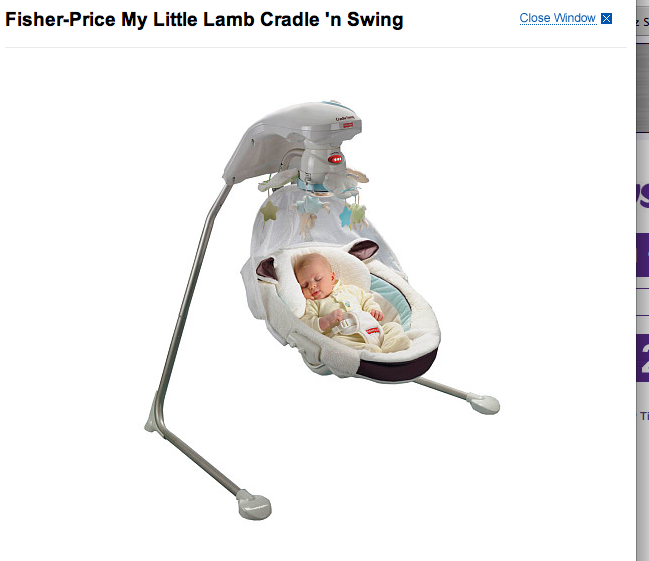 We got the one that was highest rated and pretty expensive- The Lamb Swing. For one week and one week only, we called it the "Silence of the Lambs" because it got Dylan to sleep, but at 3 months, we already packed it away. My suggestion: BORROW. Some kids love them, some don't. And it's a big cost for an item your kid might not like. And I also got this one as a hameydown. We keep this in our room and it worked for 5-10 minutes so I could take a shower when Dylan was super young. But Dylan didn't want to spend lots of time in it. We use the carriers- but not religiously. 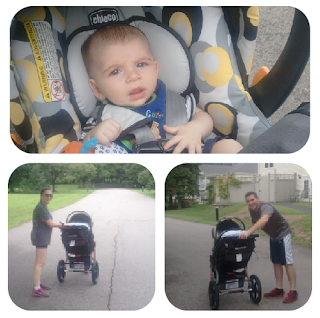 I got the Baby K'tan and the Ergo and so far both of them are great. We also borrowed three other ones. I think it's good to always have one in the car incase your baby doesn't want to stay in the stroller. Suggestion: Buy one- (I think the ergo is the best) and then borrow a few other options before you make the investment. If you plan to run or go on long walks, I truly believe the BOB is the best. I have this one. 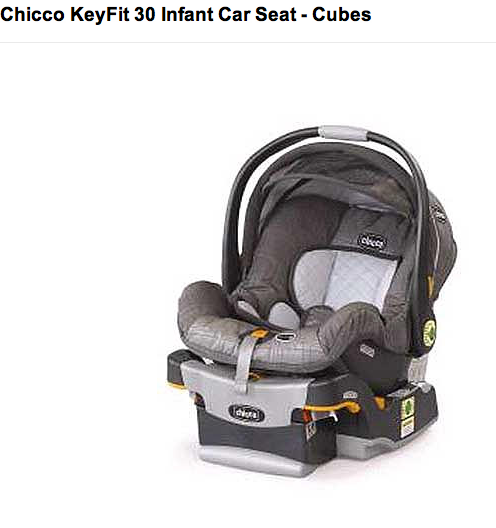 You need this so when the baby can't hold his head up, you can still take walks/jogs and just put your car seat in there. 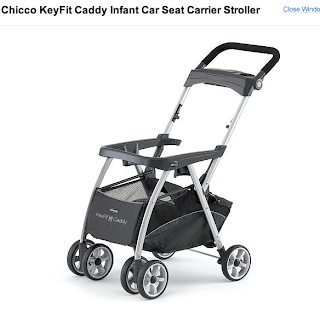 If you get a Chicco car seat like I have, you should get the Chicco brand because the Chicco car seat doesn't LOCK into place in the Baby Trend Snap N Go's. The Snap N Go is really all you will need for the first few months. I keep mine in my car and it's so awesome. So easy to use, so portable. We love it. Now we use the Bob a lot more and I've heard a lot of people say it's too clunky to bring in your car but I still love it! Sure it's big but it folds up easily. I wouldn't bring it out unless I need it like if we plan to go for a run or long walk. For the grocery store or the mall, I always use the Snap N Go. They also got the doubles kit, planning for #2, but they also use it for groceries! WHATEVER you do, DON'T GET the TRAVEL SYSTEM. They are clunky and pointless. 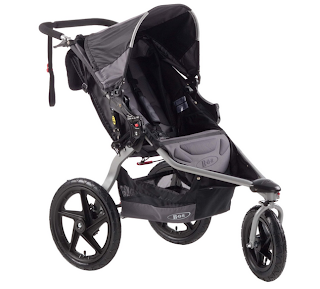 You want a stroller with versatility. It's a waste of money. All you will need the first year is the Snap N Go and then a more versatile stroller. The research I did proved that the Bob and Phil and Teds were the best. 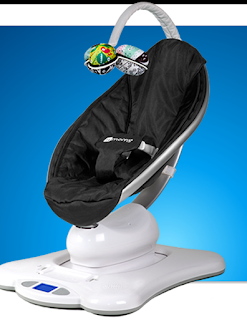 Benefits of Graco- the cover extends further than the Chicco, but it's heavier. They also say the Chicco is warmer- great in the winter, not so good in the summer. If I could go back in time I would have registered for both the My Brest Friend and the Boppy. 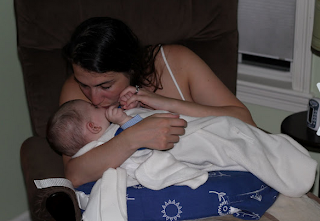 I would not have been able to breastfeed without My Brest Friend in the first month. I was still TOO big in the first month to fit the Boppy around me comfortably plus I always felt like it was too low. My Brest Friend was such a lifesaver. 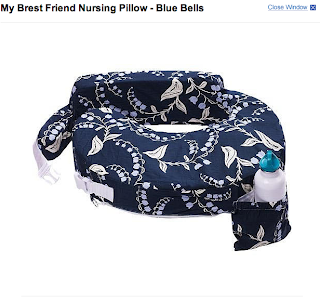 Get the Boppy and the My Breast Friend if you plan on Breastfeeding. The My Breast Friend is the ONLY thing that worked for Gretchen and myself, its a must. And I'm so lucky that Gretchen let me borrow it! I still use it everyday! I keep that in Dylan's nursery and keep the Boppy downstairs. Get a cover for it that you like too. 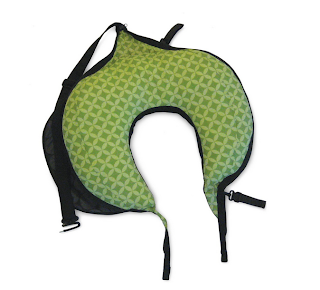 The other item I highly recommend is a Travel Boppy. I LOVE MINE. I'm one of those breastfeeding momma's who can only comfortably breastfeed for the entire feeding with a pillow. Sure I can feed Dylan in my arms for a few minutes... but a full feeding- my arm feels like it will fall off! 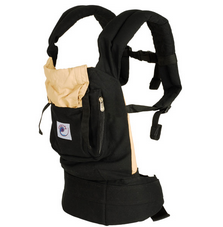 This one looks like a purse when it's folded up and I keep it in my car and just attach it to my stroller. I also used it for Dylan to take naps in when I was at friends houses. 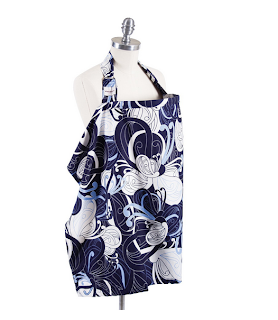 Oh get a nursing cover too. I personally like to call them Hootie Hiders. hehe. These labels won't come off when your bottle is getting warmed. They are waterproof and dishwasher proof. They are awesome! Also make sure you get a Cooler Bag and Ice Pack to keep your milk in at work. (Comes with pumps if you buy new- which I did not : ) I use a thermal from Thirty One Gifts that I won from Cara's blog! I have the Playtex Genie Elite and have yet to use it. Breastfed babies diapers don't smell! At least not to me : ) You have to buy the refills separately and they're expensive so I'm waiting until I really need to use them. We use keep a Trash bag on the door and take it out weekly. I use Pampers Swaddlers. They never leak and they have a yellow line that turns blue when the diaper is wet. How awesome is that? Dylan sleeps in one diaper all night- from 7pm to 7am and it never leaks. Sure it feels ten pounds by morning, but it doesn't leak! Disposable diapers are the 3rd largest contributor to landfills. Most disposables have all kinds of plastics, gels, and chemicals in them. Yes, its more work than just throwing a diaper in the trash. But having never dealt with diapering a baby before, they didn't know it was more work because they didn't know any other way. And the new all in ones are practically just as convenient as disposables. I'll have Gretchen post another post on this topic soon. If you want to use disposables and are concerned about the environment, she likes the seventh generation ones. They started using the overnight ones when their son was around a year, because the cloth system just wasn't working at night. They use cloth wipes now, but started with the seventh generation wipes and use them on the go. I am in love with my monitor, mainly for one main reason... you can move it from the monitor part. 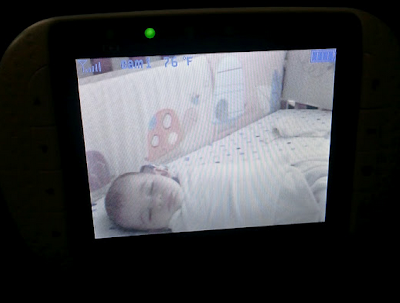 So if Dylan moves, I don't have to go into his nursery to move the camera, I can move the camera from the monitor! I hear the infra-red night vision isn't as clear as others, but I have nothing to compare it to, so I love it and think it's worth the money! And the screen is HUGE! I have this one and I have to be honest, we barely use it. I would skip this until you need it. There's other things you will need so you can save the $40+. Or get one that you can use in an adult room too. Aden and Anis blankets are the best. Don't register for any other blankets. It seems like everyone gives you baby blankets and we never ever use them. If I could go back in time, I wish I returned all the blankets we received except these ones. 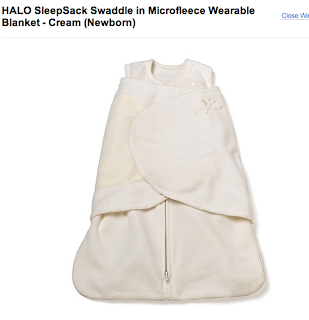 I live by the Halo Sleepsack and Dylan still uses them. 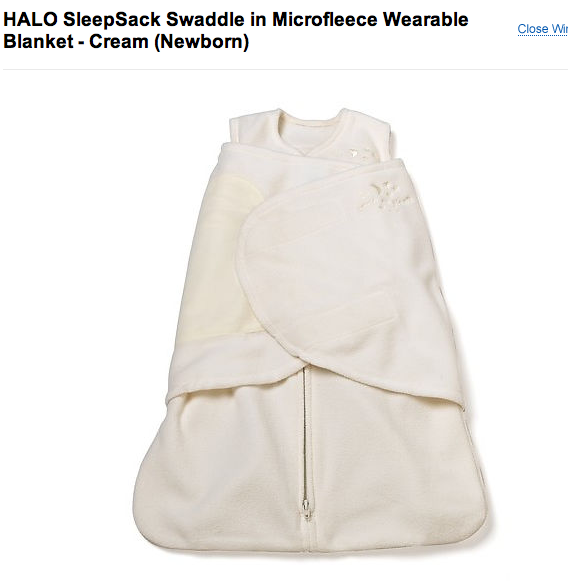 He broke out of every other swaddle... this one rocks because it zips up. And yep, he still uses them. Gretchen and I both highly recommend swaddling, and we had very different babies. 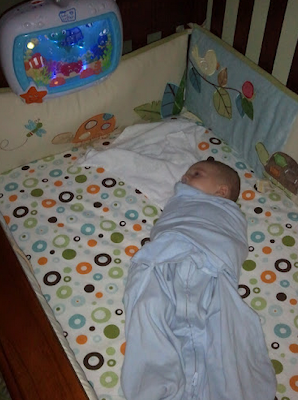 Fausto is a terrible sleeper and Dylan is a great sleeper, but swaddling helped them both. They really sleep longer wrapped up. They'll fight it and people will just give up and say, my baby didn't like it. They won't like it. But they need it! And yes, Dylan is still swaddled every night and for naps when we're home! Pick out your bedding but keep in mind you will probably only use the sheet for awhile, so get some extras. 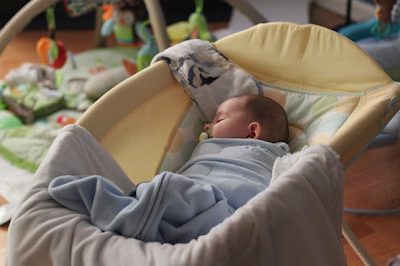 You're not supposed to use a bumper or any blankets for infants (another reason swaddling is good - keeps them warm). I'd also get a waterproof cover for your mattress. Great to use around 4 - months. Or in my case 3+ months. It lets you put them down and leave them for like 5 minutes so you can do luxurious things like pee by yourself. My friend Jill has renamed this the "circle of neglect." Which is just awesome and hysterical. Dylan loves his and can spend lots of time in it. He spins around and touches everything! Get one that has lots of things to touch and do! This will be another post, but I swear by mine. I would say this is one of the best things you can buy on this list. I have friends who make fun of me for having so many gadgets for feeding my baby, but I think this is the best thing EVER. It's very easy to forget how long it's been since your baby last ate and this helps keep you on track. You hear him crying at 4am and you think there's no way he could be hungry because you just fed him. Then you look at the timer and realize it's been 6 hours! I think the timer helps you so much as a sleep deprieved Mommy. I also use the ZZZZ feature to track how long his naps are. Good to have one that vibrates and one that has something fun to look at. I wouldn't spend too much money on it because your baby may not like it. Dylan sorta likes it, doesn't love it. I used this during my labor and have yet to use it since. 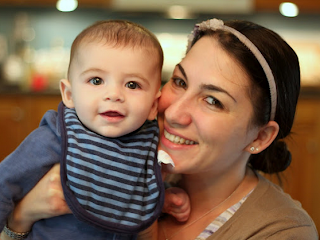 Gretchen said it was the only way to calm her screaming baby so it had multiple uses for her. I hope to use it again when I start my home gym! I use a backpack Fisher Price one that both Dave and I can carry. 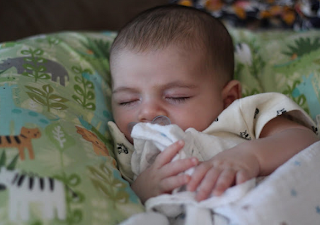 Since week 4 we've been using the MAM pacifiers and I love them! Not only do they look cute but they fit perfectly in Dylan's mouth while also leaving room for his nose to breathe. 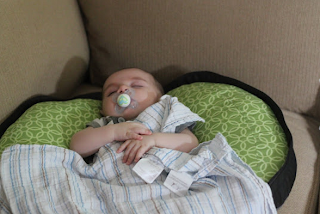 Dylan only uses a pacifier when he is napping/sleeping. We've tested a few others (like the ones they give in the hospital) but we found these are the best. And most of my friends agree! 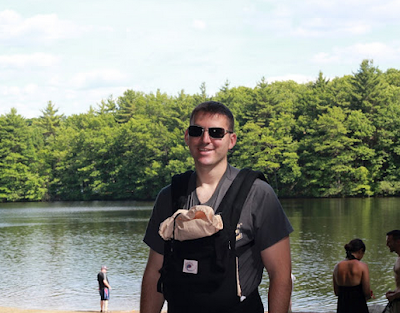 Bibs are definitely something I thought I wouldn't need. I didn't want Dylan to be that kid that always had an ugly bib on. Well guess what? He is! Dylan drools and spits up so bibs are a necessity. He goes through 5 a day at daycare! Once the babies start eating solids, wipeable bibs with a lip for catching food are essential. A comfortable glider is a must. 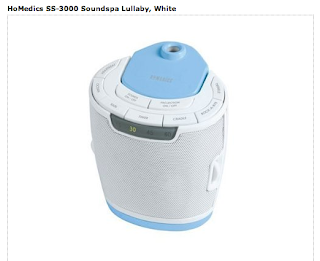 You'll use it for rocking to sleep and late night feedings. Gretchen had to talk me into getting one and now I can't imagine life without it! Changing Pad for your changing table. I just have it on my dresser. Gretchen has a changing table from Ikea. If you have room for a changing table, I would get one because the pad shifts around a lot on the dresser! Bins for Storage- I have three different bins/crates/baskets in our room where I keep things like diapers/creme next to his changing table, another filled with books next to his rocker, a third filled with bibs, burp cloths and socks and another filled with all his blankets! 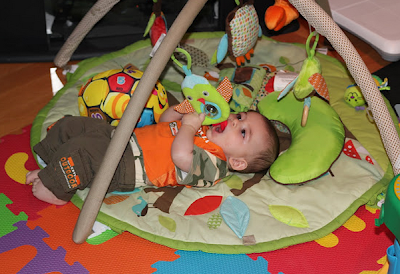 Fisher Price Laugh and Learn Toys- Dylan is obsessed with this one we got as a gift! As well as teething toys- rings, keys, etc.. The bumbo- okay not really a toy but wasn't sure what category this belonged in. This is another item we borrowed and so glad we did! We also bought this mat to go on our hardwood floor. And yes I realize that I became the mom who no longer has a living room. Oh well! And that's a wrap! Hope you find this helpful. Feel free to comment/email any questions. 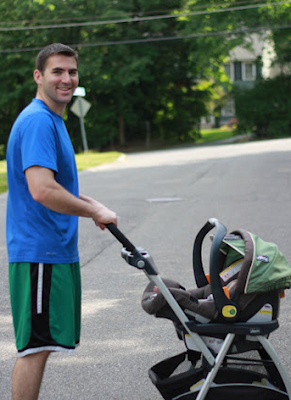 I'm no expert but I think I have a pretty good handle on the best baby items! As you can see, having a baby isn't cheap but oh boy is it worth it. I leave you with our most recent family photo. Happy Weekend!